Would You Eat Bugs for Love? At Ripley's Race to the Altar, consuming bugs may be part of the love challenge. How iron-clad is your love? Would you, say, eat a bug so your sweetie wouldn’t have to? The couple to complete all of their tasks and make it to the finish line first will be married on the spot, because naturally, Ripley’s has an ordained minister on staff. Plus: Prizes! Bragging rights! You’re thinking, okay, but how nasty is this thing really going to get? That’s what we wondered, so we called up Ripley’s director of marketing Steve Ekstrom. 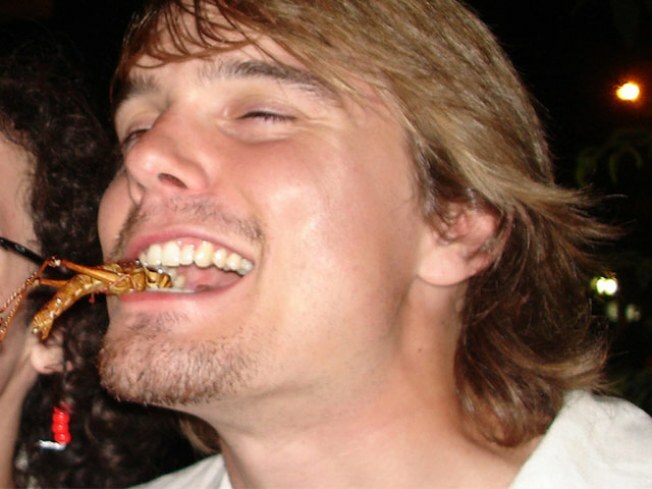 He can’t divulge too much about what couples will be asked to do to move through the race, but says eating a live cockroach “may or may not be” one of the challenges. “You know how the bride and groom feed each other cake? Yeah, there may be something like that with bugs. Also, there might be something like a kissing booth for the world’s ugliest woman. That’s love. That’s trust.” And that's just two of the 20+ challenges that await. Couples, now that you've been warned, head here to download a Race to the Altar application; applications must be received by February 2 to be eligible.